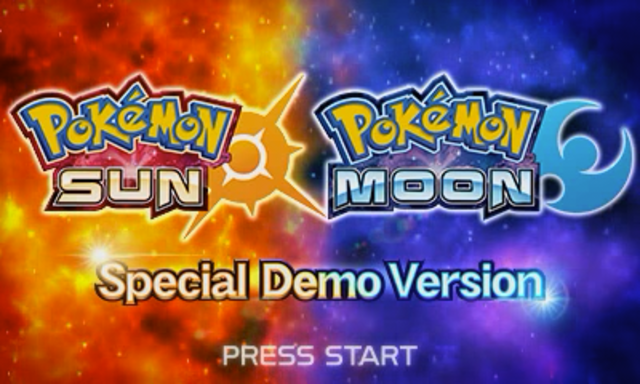 The Pokémon Sun and Pokémon Moon Special Demo Version is a special, expanded demo edition of Pokémon Sun and Moon. It was released worldwide on October 18, 2016 in promotion of its parent game via Nintendo's eShop. Here follows a guide of what to do and how to play through the Special Demo. In the Demo Version, the player steps into the shoes of the protagonist Sun, who shares the appearance of the male player character in Pokémon Sun and Moon. The Demo is set on Melemele Island and mainly centers on Hau'oli City. 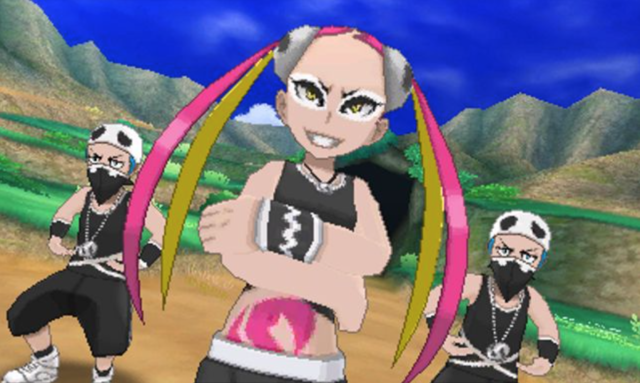 During the initial adventure, the player is introduced to Trials and Z-Moves and battles with Team Skull. After this adventure is completed the game saves, and thereafter the player is mainly left to explore Hau'oli City and the surrounding areas, with a few simple challenges available, a few NPCs who will do special things after a certain number of days, and a few special encounters with special NPCs on certain days of the week. During gameplay, the player can only access the Pokémon and Bag menu options. When the menu is not open, if the player has received the Rotom Pokédex, it occupies the lower screen, with links to a promotional video and the eShop pages for the Pokémon Sun and Pokémon Moon games in the middle. The Ride Pager can also be opened with the Y button after the initial adventure is completed. After the initial adventure, the Demo only saves when the player receives a transferable reward or after talking to the "mysterious man" on Mahalo Trail. After the initial adventure, the player will always have a Greninja at exactly level 37 in their party and the Z-Ring and Electrium Z in their Bag. The game can also set the time of day to either the day or the night. This depends on the time when the game loads, alternating every minute, but once the game is loaded, the time will not change. When the Demo is first started, the player opens his mailbox to find a letter written by an unknown sender, noting that they left a Greninja (who used to belong to Ash) for the player to take care of. After reading the letter, Sun heads to Hau'oli City Hall with his mother to register their new address. When the player tries to leave, they will run into Hau, who will introduce himself. At the suggestion of the player's mom, Hau offers to show the player around the city's shopping district. Before that happens however, they run into two Team Skull Grunts, who pick a fight with the player and Hau. After defeating one of them in battle, the grunts retreat, and the game instructs the player to go to the Pokémon Center, where inside, Hau give the player a Super Potion. Once the player has healed their Greninja and exited the Pokémon Center, they will meet Professor Kukui. Kukui introduces the player to the Trials, inviting them to Ten Carat Hill. From this point, the player is allowed to explore the the city, and can talk to a man north of the Pokémon Center when they are ready to continue. At Ten Carat Hill, the player will progress up a road towards the trial site, inside a cave. There Kukui will explain the rules of the trial. 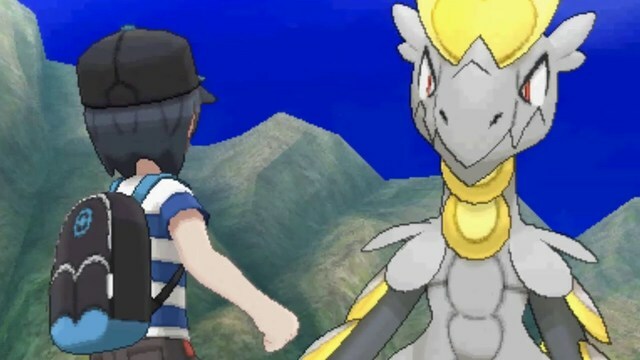 The player is to seek out two Jangmo-o and two Hakamo-o and photograph them. To do this, the player is given a Poké Finder. Kukui also loans the player his Pikachu. After receiving Pikachu, the trial begins. When the player takes pictures of the Pokémon, the snapshot startles the Pokémon, causing it to attack. After taking photos of the two Jangmo-o and one Hakamo-o the player will hear another Hakamo-o from the other end of the cave. The cave opens to a clearing, where the last Hakamo-o is located. Upon taking a photo of this Hakamo-o, it is revealed to be a Totem Pokémon. Defeating the Totem Hakamo-o and its ally, Rockruff, completes the trial. Kukui rewards the player with a Z-Ring and an Electrium Z, which is automatically equipped to Pikachu, allowing it to use the Z-Move Gigavolt Havoc. At this time, Hau runs in pursued by the Team Skull Grunts from before, this time accompanied by Plumeria. After some consideration, Plumeria decides to avenge her underlings, but is defeated by the player. Team Skull leaves, but not before telling the player they haven't seen the last of them. Afterwards, Pikachu returns to the professor, with the Electrium Z returning to the player, and the demo ends. When the player resumes the Demo for the first time after finishing the initial adventure, Professor Kukui will give them the Ride Pager and the ability to use the Ride Pokémon Tauros. The professor then leaves the player to their own devices. From there, the player can complete a few challenges or simply explore the city. Tauros will allow the player to explore more of Ten Carat Hill and a new woman will appear by the line of Slowpoke at the east end of Hau'oli City to guide the player to a new area, Mahalo Trail. On certain days, special NPCs may appear, and after certain numbers of days have passed, some NPCs in Hau'oli City will activate special events for the player. If the player talks to the woman at the end of the road east of the Pokémon Center, they can travel to Mahalo Trail. There, the player can use the Ride Pokémon Tauros to smash through the rocks blocking the path and ascend the trail. At the top, the player will find a self-styled "mysterious old man" who will give them three Stardusts to transfer to the full game. At Ten Carat Hill, three new Trainers have appeared, one an Ace Trainer near the hill's entrance point. If the player defeats the other three Trainers around the area (including YoungsterHonus, who can be battled during the initial adventure), they can then challenge the Ace Trainer, and if they defeat her, she will give the player a transferable Star Piece. The player can also smash through a large rock near Ten Carat Hill's entrance point with Tauros to access a Pokémon-catching challenge. In the challenge, the player is given 16 Poké Balls, 3 Heal Balls, and 1 Great Ball to catch as many wild Pokémon as they can. The first time the player catches at least three Pokémon, the man running the challenge will reward the player with a transferable Nugget. If the player catches a Pokémon while their party is full, either the new Pokémon or one of their current party members must be released. When the player decides to finish the challenge, all of the Pokémon they caught will be released and all Poké Balls will be removed from the player's Bag or from being held. If the player manages to catch 20 Pokémon—one with every Poké Ball they were given—the man at the entrance will be sleeping; if the player wakes him up, he will congratulate the player on their achievement. Several special NPCs will appear around Hau'oli City depending on the day of the week and possibly the time of day. Even if the player has already met them before, these NPCs will appear exactly the same way in subsequent weeks as well. On Tuesdays, during the day, the player's mom can be found coming out of the apparel shop east of the Pokémon Center. On Fridays, Lillie will appear on the road running along the side of the Pokémon Center. On Sundays, during the night, Hau will show up if the player approaches the malasada restaurant east of the City Hall. Several NPCs in various parts of Hau'oli City will be waiting for special events to occur a specific number of days from the day the initial adventure was completed (the first time the game was saved). If the player meets these people at these times, some of them will present the player with a gift. A man standing in front of the Pokémon Center will offer to give the player "something good" provided they meet him the day after the game was first saved. If the player does so, he will give them ten transferable Pretty Wings. If the player does not visit him until the second day or later, he will not give them anything. A woman standing at the corner of the road near the City Hall showed up five days early to meet someone who helped her when she sprained her ankle. If the player talks to her five days after the game was first saved, she will introduce them to her hero, a Machamp. The next time the player talks to her, she will reveal that she went to the beach with Machamp. A man inside the City Hall seeks someone to help celebrate his Pikachu's birthday 12 days after the game was first saved. If the player does so, he will give them a transferable Balm Mushroom. If the player does not visit him until the 13th day or later, he will not give them anything. A policeman at the Hau'oli City Marina is standing guard in advance of some shady business that he heard will happen 18 days after the game was first saved. If the player speaks to him on that day, they will discover a pair of men on the pier who have brought their Slowpoke to the marina. Despite the policeman's apprehensions that the men are selling Slowpoke Tails, the men proceed to simply fawn over each others' Pokémon. A woman in the Ferry Terminal is leaving on a ship 24 days after the game was first saved, but is nervous. She asks the player to come to see her off. If the player does her this favor, she will give them a transferable Comet Shard in thanks. If the player does not visit until the 25th day or later, she will have already left. A woman will occasionally appear on the beach on Ten Carat Hill and provide the player with the chance to photograph an Alolan Dugtrio with the Poké Finder, upgraded to version 2 with a zoom function. Within the first 14 days after the game was first saved, she may appear randomly and rarely, disappearing once the player leaves Ten Carat Hill. Starting 14 days after the game was first saved, however, she will appear and remain on the beach. The player can talk to the woman multiple times to keep photographing Dugtrio. Sometimes Dugtrio will be facing away from the player and sometimes it will be facing towards them. Sina and Dexio appear in the Pokémon Center starting 14 days after the game was first saved. After the game is saved for the first time and the player receives the Ride Pager, they may speak to Professor Kukui inside the Pokémon Center to transfer any transferable rewards to a full version of Pokémon Sun and Moon. Each reward can only be transferred to a given game once, but the same reward can be sent to any number of different games.